Because I'm not good at all at solving this puzzle, I've decided to give Java an opportunity to solve it for me. And you the program will start. Remember that the faces of the cube must be read as if you were reading a text: from left to right, topmost to bottom. * are grouped in the same face of the cube. * Determine if two cubes are equal regardless of their orientation. * previous one but with the colors rotated. After two days developing (in my spare time) I've realized that it was a wrong decision, because there is a better way to store the cube and allow the rotation operations to be more easy: is to create a sticker data structure and link the stickers between them. 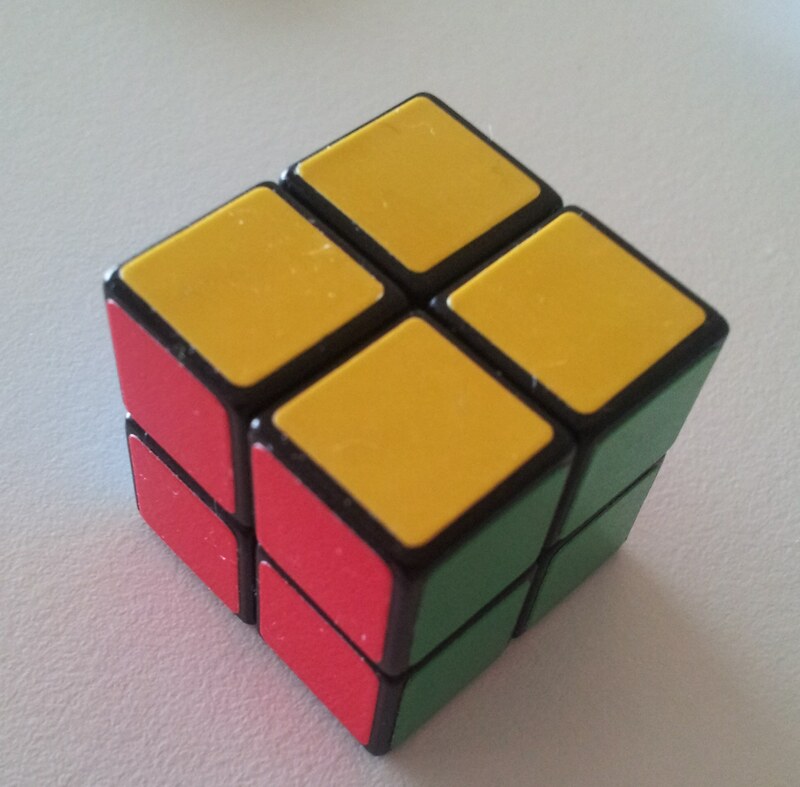 Thus, the operation of rotation of the cube is more easy and less error prone. So, the cube is constructer by linking the respective north, south, east … links between them. But I think it would be needed to keep a link in order to know the orientation of the cube (to know what is up and down): because of this is necessary this northCorner, who will be set with a value only with one sticker.